Structure is important for young children. Elementary school is when students first start to make sense of the world. It’s when frameworks are established. Frameworks for behavior, diet, the learning process, and social interaction. 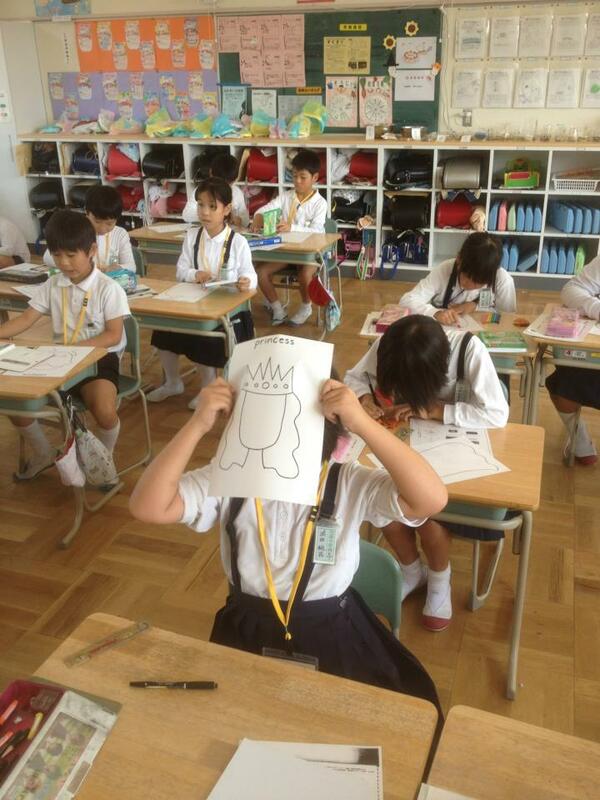 I teach English to elementary school students in Japan, and I don’t have to use any Japanese during my lessons. Instead, my lessons rely on a structure the students are familiar with. We start with a greeting, then sing a song, then practice new vocabulary, then play a game or two, then say goodbye. I can introduce any kind of crazy activity, or unique writing practice –within reason–and the children understand the process as long as I introduce the activity in the same way that I have introduced others. By providing a framework and a methodology for how the children interact with the English language, we are giving them a tool with which to recall vocabulary and grammatical structures: a frame of reference. It’s interesting how this approach influences our lives on a greater scale. I’m willing to bet that people with stronger elementary school education are more mentally healthy, successful, and level-headed than those who happen into a good college education. Although, most likely those with a good college education have had a good elementary education. There have to be some deviations. Early-childhood education is perhaps the most important period of education because it is the time when the process of learning is sublimated. It is when we learn how to learn. Our approach to learning is a relatively unchanging factor in all areas of study. If you can study well, and digest information in an efficient and useful way, then you can surely understand most anything with a good amount of work. As a student, digesting new information is no more important than the degree to which it helps you practice the method in which you learn. Many people go to college for a purpose, they want a degree to get a specific job. This is one basic idea of college, but result-oriented education has limited benefits. Result-oriented learning betrays the purpose of learning, and makes study more difficult, more stressful, and less effective. With a result-oriented goal in mind study becomes more stressful. If you fail the test then you won’t become a doctor and you will let down your family. In an ideal world, teachers and institutions provide lessons and curriculum that manage stress and reinforce the practice of an effective learning methodology. Our goals should be adjusted from result-oriented goals such as “I want to be a doctor,” to skill-acquisition goals like “I want to learn how to process medical problems properly, so that I can be a good doctor.” This removes some of the stress induced by more superficial attachments, and keeps us focused on the task at hand. Outside of the classroom, it is the structure and the practiced method of learning that helps us solve problems. If you know how to address unknowns through a series of predetermined steps, then during any given step you can exclude the irrelevant variables. This exclusion is important to processing information, and it helps us to focus on and prioritize our actions. It’s in focusing on these steps that we gain reassurance and confidence, and where we can compare possibilities for the sake of making the best decision. On the other hand, bare knowledge such as vocabulary plays a less important role. Words can be substituted for others, letters can replace numbers. It’s the formula that matters. The Training Place. (2012, July). The Impact of Stress on Learning.